Northern Harrier female hawk (Circus cyaneus) along backroad near Widgeon Pond in Red Rock Lakes National Wildlife Refuge in Montana. August 18, 2012. The insert shows the head while the main image is presented to show the distinct coloring. 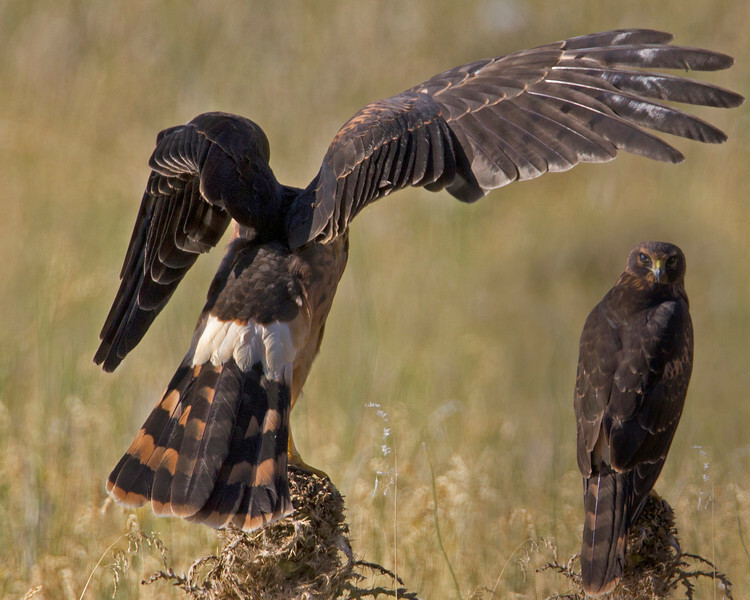 The white patch shows as they fly and helps to identify this hawk from afar.